When it comes to getting my little one ready, I'm all about products that get her involved and excited to learn new tasks. Brushing her hair is one thing that may not always be fun, so it's important to have the right brush so it gets done quickly and gently. 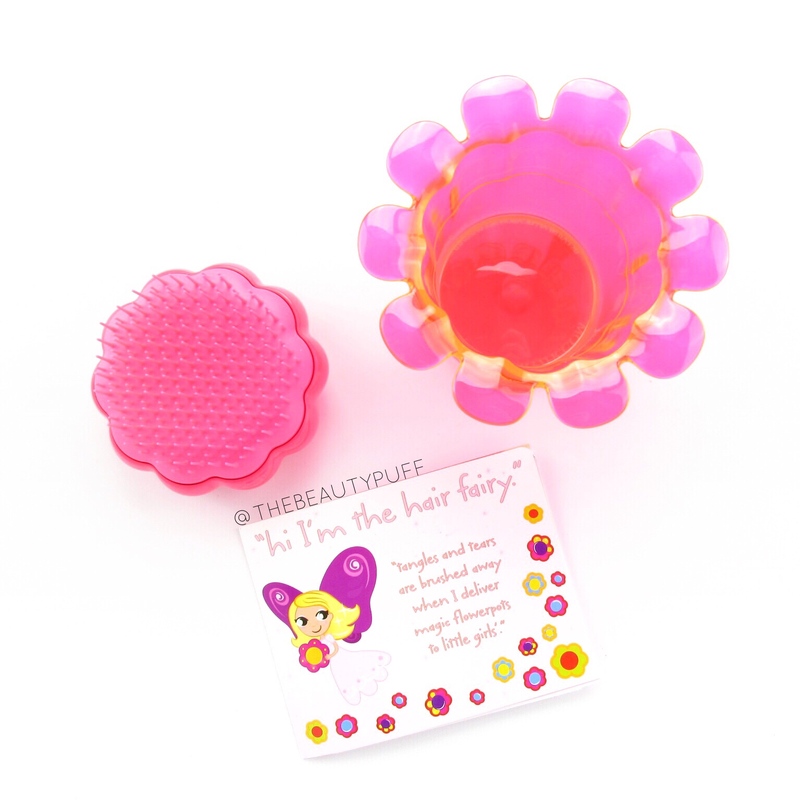 Her newest brush is the kids' Tangle Teezer Magic Flowerpot. It's just as effective as it is cute! 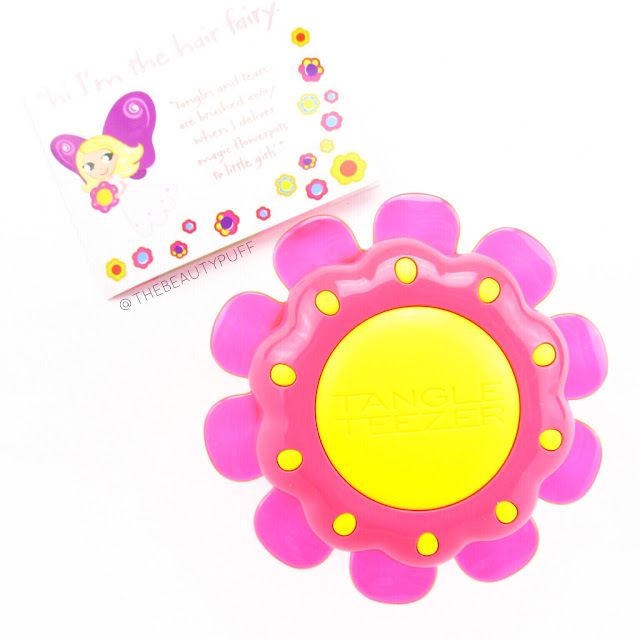 Before researching the kids' Tangle Teezer, I had heard of the Tangle Teezer for adults. I never ended up getting one for myself, but when I saw this flowerpot I had to get it for my daughter. The brush is the same style as the typical Tangle Teezer. The bristles are close together and gentle enough for fine hair without scratching or tugging. The handle is similar to the adult version in that you just hold it in the palm of your hand. It's a great size that my daughter can hold and use all by herself too. The bristles on the Tangle Teezer are thin, close together and really flexible so they move through hair easily without tugging and getting stuck on tangles. There were definitely a few times I thought my little one's hair was tangled enough where it might hurt, but this brush worked like magic every time. It's efficient and fun to use! I love the flowerpot style of this brush too, it really gets my daughter's attention and even looks cute out in her room. 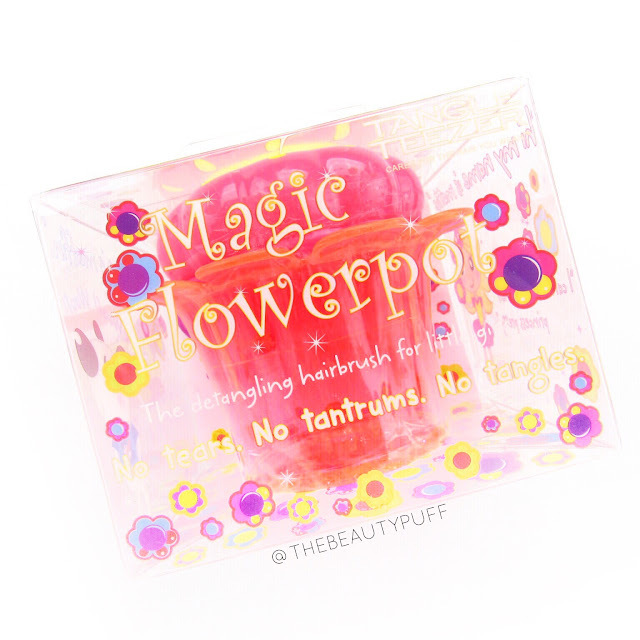 She really liked the card that came with the Magic Flowerpot as well. It has a story about the Hair Fairy who brings a little girl a brush that won't pull on tangles. It's a really cute way to get your little ones excited about brushing their hair, especially when they don't usually like it! You can find the Magic Flowerpot Tangle Teezer on Notino's website below.